Title: Beauté Japonaise moderne. Kobé. 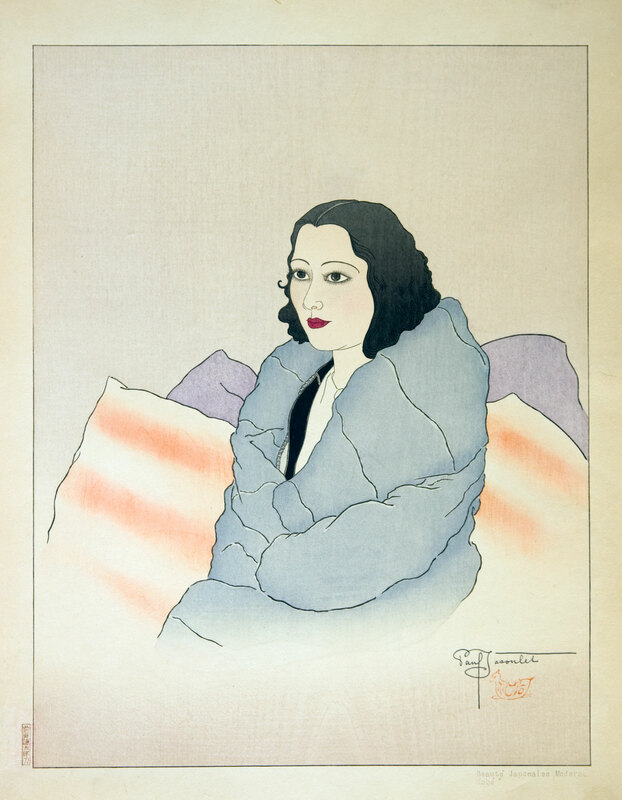 Special effects: bokashi (i.e., colour gradation) on coat and pillows; subtle grain impression of all colour woodblocks except for those applied to the woman’s face and chest. Paul Jacoulet signature in black pencil and red Mandarin Duck seal in bottom right of the print.